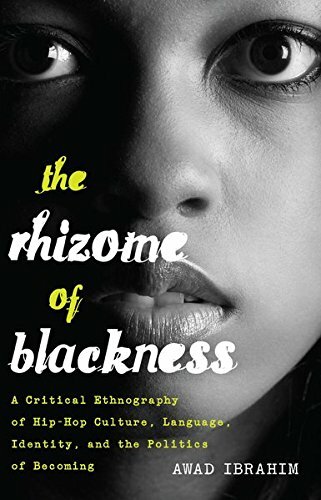 The Rhizome of Blackness is a critical ethnographic documentation of the process of how continental African youth are becoming Black in North America. They enter a «social imaginary» where they find themselves already falling under the umbrella of Blackness. For young Africans, Hip-Hop culture, language, and identity emerge as significant sites of identification; desire; and cultural, linguistic, and identity investment. No longer is «plain Canadian English» a site of investment, but instead, Black English as a second language (BESL) and «Hip-Hop all da way baby!» (as one student put it). The result of this dialectic space between language learning and identity investment is a complex, multilayered, and «rhizomatic third space,» where Canada meets and rubs shoulders with Africa in downtown Toronto, Vancouver, or Montreal in such a way that it produces its own «ticklish subject» and pedagogy of imaginary and integrative anti-racism.